A young woman off on an adventure through the woods--a classic set up, dating back to little red riding hood, and probably Greek mythology. 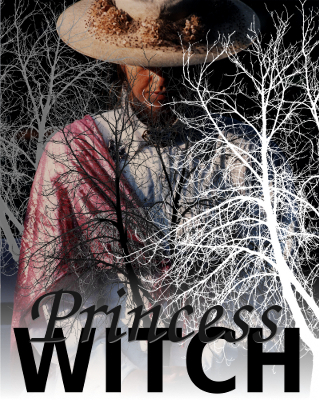 In the Princess Witch, Ms. Belcher, takes this classic set up, weaves in aspects of adventure and the paranormal, all packaged with her usual prowess as a story teller. A creative take on a classic story of growth and adventure. One final word. Ms. Belcher's roots as an oral story teller come through loud and clear in this written work. Like the best stories, it reads like it was meant to be read aloud. This means it reads really smoothly. It also makes this a perfect book for a parent to read aloud to (or with) a kid....it was literally meant to be read aloud. But don't make the mistake of pigeonholing The Princess Witch as for kids. It is not. It is fully engaging for the adult reader too. You can read Anndrena's story for only 99 cents using your kindle, phone, or computer, downloading instantly so there's no need to wait. If you'd like to see more of Anndrena's stories reach a wider audience, consider donating to our Patron Fund to help Anndrena's masterpieces see the light of day.